Using a document from 1828 that lists the value of a U.S. landowner’s 11 slaves, Bryan (Sail Away) creates distinct personalities and voices for each, painting their portraits and imagining their dreams. He starts with the wife of the slave owner, who felt her husband was good to their slaves (“He never hired an overseer”). But it’s quickly clear that “good” slave ownership is an oxymoron: “I work hard—all profit to the estate,” their cook Peggy observes. Bryan shows that the enslaved had secret lives of their own: “Years ago blacksmith Bacus and I/ ‘jumped the broom’—/ the slave custom for marriage. No legal form for slaves.” They cherish their traditions, call each other by their African names (“I am Bisa, ‘Greatly Loved’ ”), dream of escape, and long for freedom. His portraits show the men, women, and children gazing out at readers, the contours of their faces traced as if carved from wood, while strong rhythmic outlines mimic stained glass, echoing the sense of sacred memory. There are few first-person accounts of slaves, and these imagined words will strike a chord with even the youngest readers. 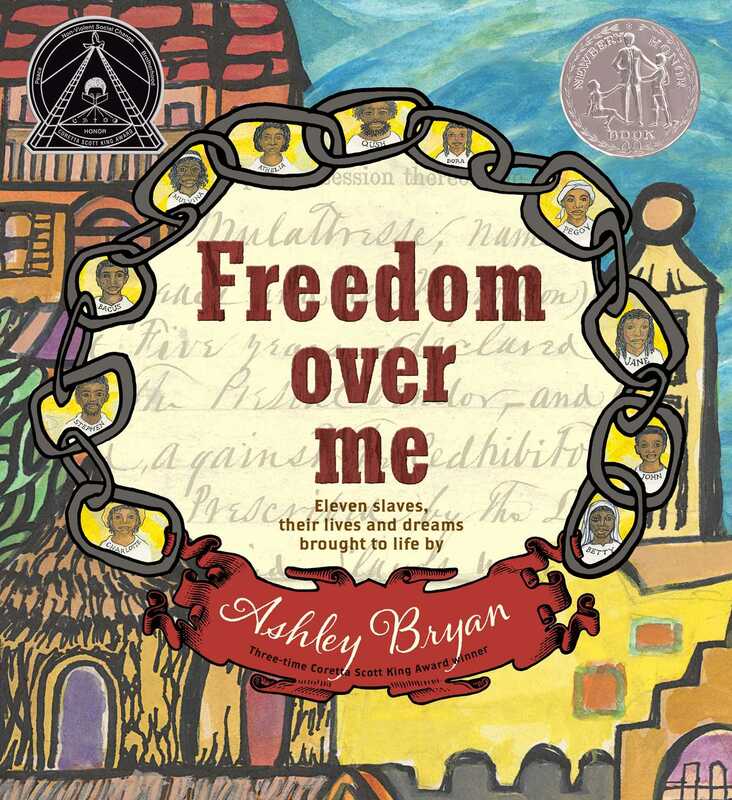 Ages 6–10.Using a document from 1828 that lists the value of a U.S. landowner’s 11 slaves, Bryan (Sail Away) creates distinct personalities and voices for each, painting their portraits and imagining their dreams. He starts with the wife of the slave owner, who felt her husband was good to their slaves (“He never hired an overseer”). But it’s quickly clear that “good” slave ownership is an oxymoron: “I work hard—all profit to the estate,” their cook Peggy observes. Bryan shows that the enslaved had secret lives of their own: “Years ago blacksmith Bacus and I/ ‘jumped the broom’—/ the slave custom for marriage. No legal form for slaves.” They cherish their traditions, call each other by their African names (“I am Bisa, ‘Greatly Loved’ ”), dream of escape, and long for freedom. His portraits show the men, women, and children gazing out at readers, the contours of their faces traced as if carved from wood, while strong rhythmic outlines mimic stained glass, echoing the sense of sacred memory. There are few first-person accounts of slaves, and these imagined words will strike a chord with even the youngest readers. In 1828, Mrs. Mary Fairchilds, now widowed, tired of life in America and decided to return home to Britain, which means selling her American estate—including eleven slaves. Each of those slaves is given voice by Bryan, with two free-verse poems apiece; one focusing on the speaker’s life and another on the speaker’s dreams. 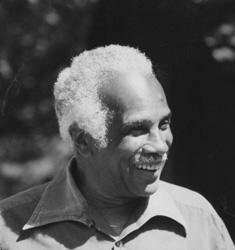 The poems focus on the subjects’ strong ties to their African heritage (most are charac- terized as first generation slaves who themselves traveled the middle passage), the meaning they find in the human connections they’ve made and their skilled work, and on the economic value that work brings to their owner. Those verses operate in stark, even shocking contrast to the portraits captioned with each subject’s sale price as well as name and age. The portraits, created with heavy use of black line for shaping that gives the carved detail of wood sculpture, are eloquent and individual; they gain even more power from another layer of irony as collage backgrounds of legal paperwork and newspaper items about slave ownership and auctions contrast the slaves’ humanly rich lives with the cruelly summary discourse. Like McKissack’s Never Forgotten (BCCB 11/11), this is a story that links enslaved people to their African past and their accomplished workmanship, and it’s a high-impact treatment in a compact and accessible format that may inspire creative works in response as well as reflective discussion. End matter includes an author’s note about Bryan’s intentions and his historical collection of slavery-related documents and adds information about the spiritual from which the title is drawn. of the introductions, the dream spreads are in gloriously brilliant colors, as bold as the aspirations of the individuals themselves.